If you’re looking for away to catch tons of great Live NBA action online? 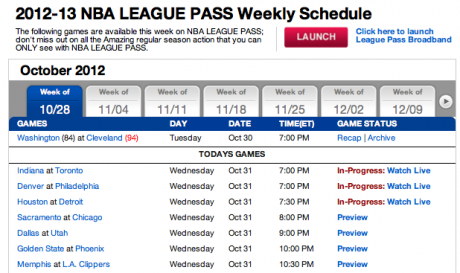 Today, we’re bringing you an NBA League Pass Broadband review. 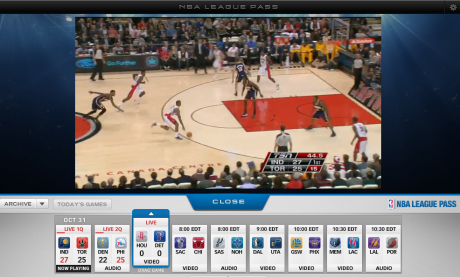 League Pass Broadband brings both live and on demand NBA games right to your computer. NBA League Pass Broadband offers two different packages for purchase. The Choice package allows you to watch the games of up to 5 teams throughout the regular season for $119.99 or 5 installments of $26.99. 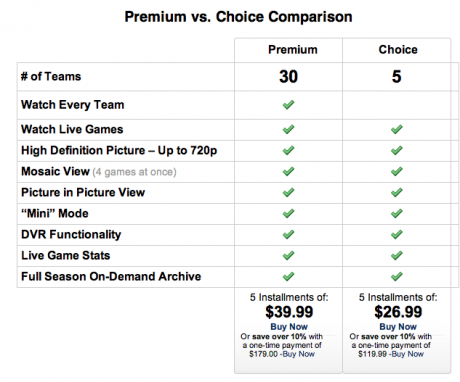 The Premium Package ($179 or 5 installments of $39.99) gives you access to all 30 teams throughout the regular season. Note: Before we go too far we should mention that blackout rules do apply. Nationally and Locally broadcast games are not available on NBA League Pass Broadband. 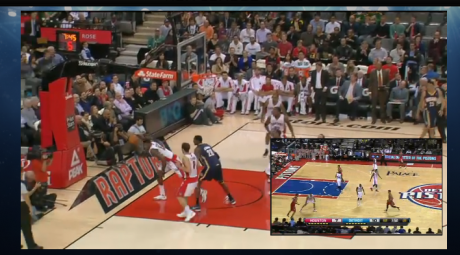 You also get DVR Functionality and “Mosaic” view which gives you the ability to watch 3 games at once. Essentially the only difference in the two packages is the amount of teams games you can watch. When you access the schedule, you can launch the player by click the “Launch” button at the top right, or by selecting any of the games on the schedule below. 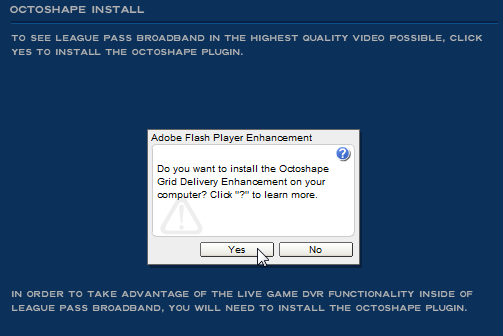 When you access the video player for the first time, you may be prompted to install the Adobe Flash Player Enhancement. Next you will now get a pop up video player window that will display today’s games along the bottom. Any games subject to a blackout will only have the “Audio” option appear under the game. Note: Blackout restrictions are based on your current IP Address. For example: If you live in New York, the Knicks will be blacked out while you are at home, but if you were to travel to say, Chicago, you would then be able to watch then be able to watch the Knicks, but the Bulls would be blacked out. To begin watching a game, drag and drop the game icon onto the video screen. Click the “Close” button to close the Games panel to view a larger screen and access additional features like Stats and DVR controls. Watch multiple games at once by selecting the Picture in Picture or Mosaic view buttons along the bottom and dragging games into each box. Of course, you can also watch the game in full screen mode. We found the NBA League Pass Broadband to be very nice, as long as you understand, and are OK with, the blackout rules. The video quality is good. They claim “up to 720p HD.” Not sure I quite had a picture that good, but it was probably pretty close and looked very good displayed in full screen on my 22 inch monitor. If you are fan of an out of town team, and want to be able to catch every game, this is a fine option. Same goes for those who are just big fans of the league in general and can’t get enough NBA action. Check out NBA League Pass Broadband for yourself at nba.com.